Here are some images and movies and other stuff showing our progress toward building a "fleet" of several (identical) highly-capable research robots. 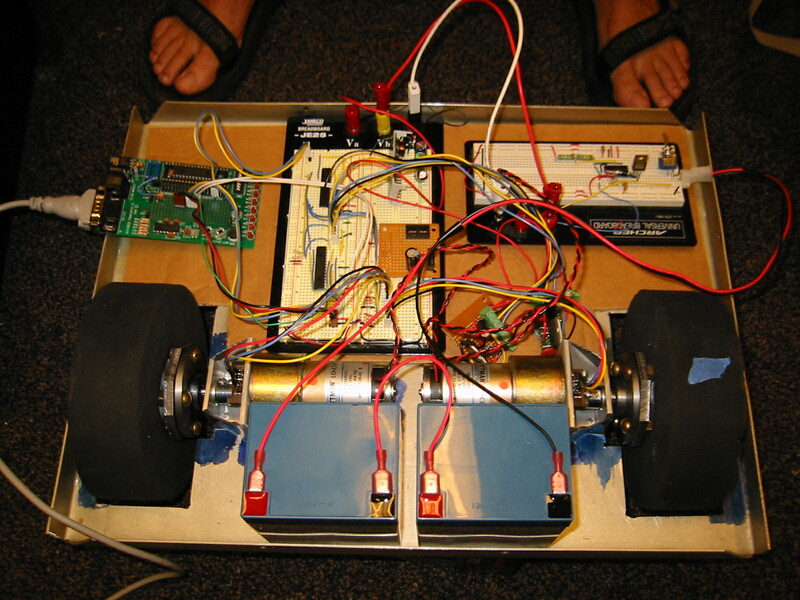 This project is currently on hold as we work on some other new research robots. 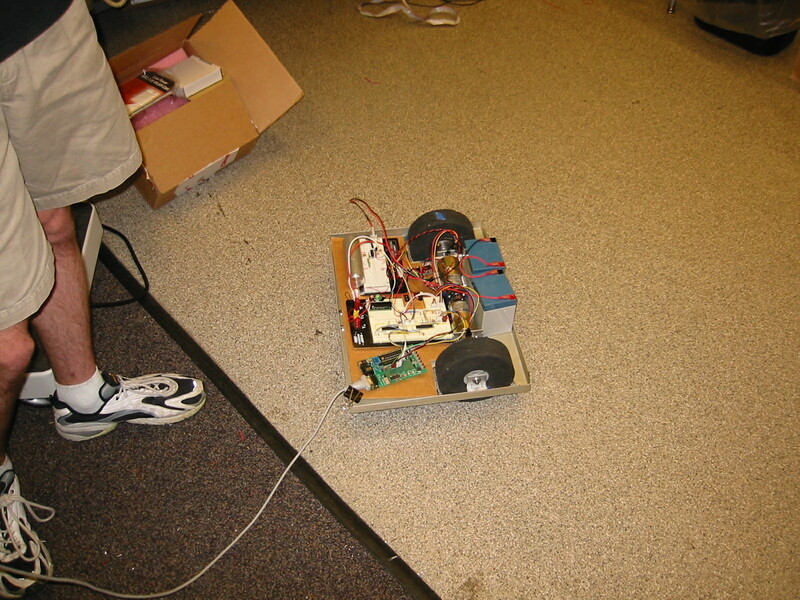 With this change, and the near-completion of our chassis and selection of a camera, we are nearly ready to start putting the final robot together. 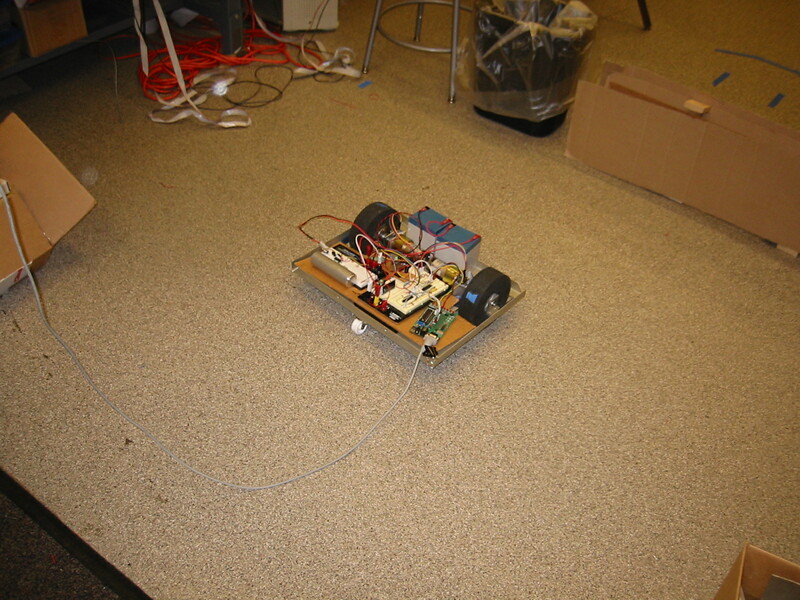 Here are some pictures from our first real "integration" test (integration between the microcontrollers in charge of the lowest-level stuff, like driving the motors, and the main computer/software). 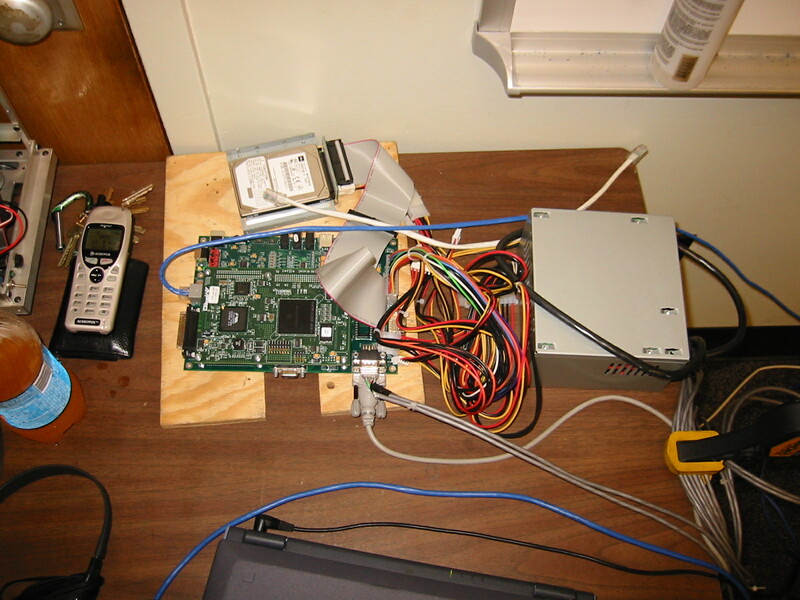 The chassis being used is completely temporary (as you can see, none of the hardware is even really fixed to it). 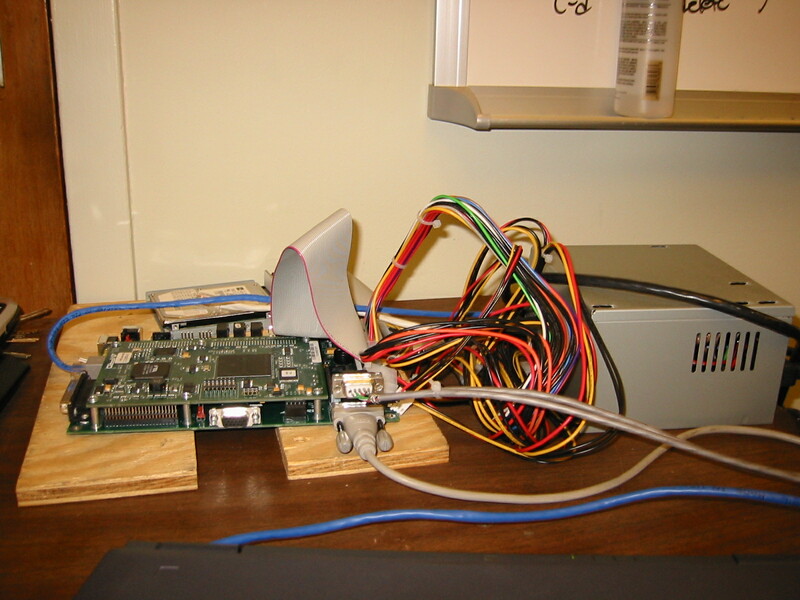 The main computer (pictures 4 and 5) is still sitting on my desk, and is talking to the hardware via that serial tether. 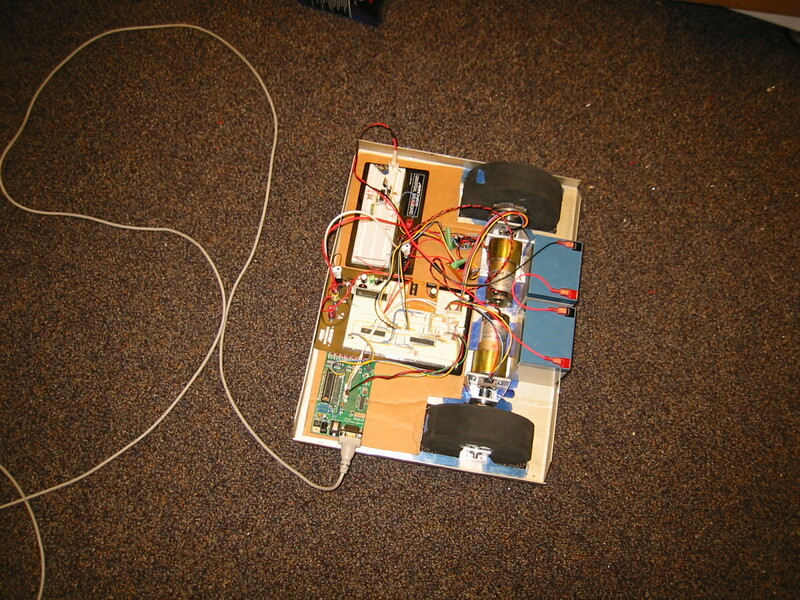 Pictures 2 and 3 show the PDA controlling the motors. Of course, our software does lots more, but these are the most important functionalities it provides. You may be interested in the doxygen documentation generated from the source. We seem to have squeezed 28.08 person-months of development into just two! Hopefully there aren't 14 times more bugs!